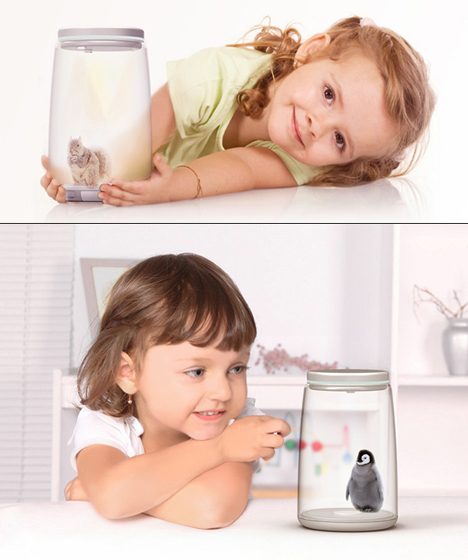 If you ever have an ethical dilemma when your children catch animals or insects inside glass jars, then this is the concept for you. It allows the academical and investigative aspects of a jar-captured animal while cutting out the cruelty by use of 3D projection. The idea is called Jarpet. Designers Zhang Di, Zhao Tianji, Ma Yinghui & Cui Minghui came up with the concept to create a ‘jar’ that is essentially a small 3D projector that places a tiny virtual animal right in front of your child. 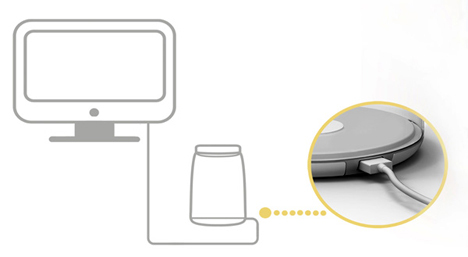 It connects to your computer via USB to charge and communicate with an app that sends the digital info to the jar. It would connect to an online animal store that allows kids to view the animals and parents to make purchases. The coolest part: It would include multi-sensory technology that would allow full interaction with the animal. 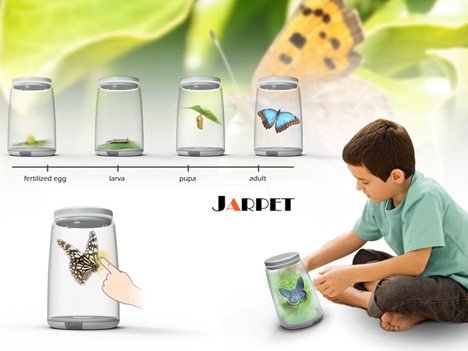 The Jarpet won a 2013 Red Dot Award for design concept. See more in Various Gizmos or under Gadgets. January, 2014.